We do landscaping & construction in all weather, this has been one of the best buys ever! I couldn't pass up the price when I bought one for myself. My daughters went camping with me and the all wanted to use it so I bought them each one. Can’t say it’s water proof but it’s very water resistant. Worked in the rain for about an hour and water got through. Great looking jacket. Material didn’t stand up though. Surprised but after 2 uses there were 2 tears in the back of the jacket. Glad I didn’t pay full price. I travel a lot and this is my go to jacket. I would recommend this jacket. 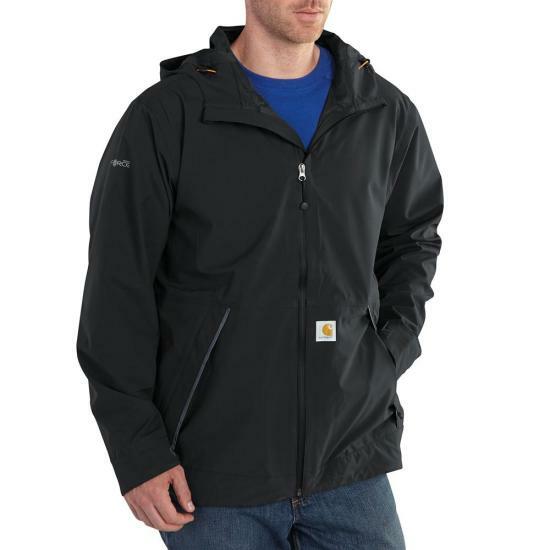 This is a great rain jacket. Lightweight, very comfortable & looks great. You can pack it easy if you choose. I went with the shadow color. Looks sharp. Looks good enough to wear even when not raining. Slips on easy over my carhartt weathered shirt jacket when its a little cooler. Very happy with the purchase & would definitely recommend this jacket. I have worn in a couple heavy rain storms that we've had lately here in CA, and its kept me dry. 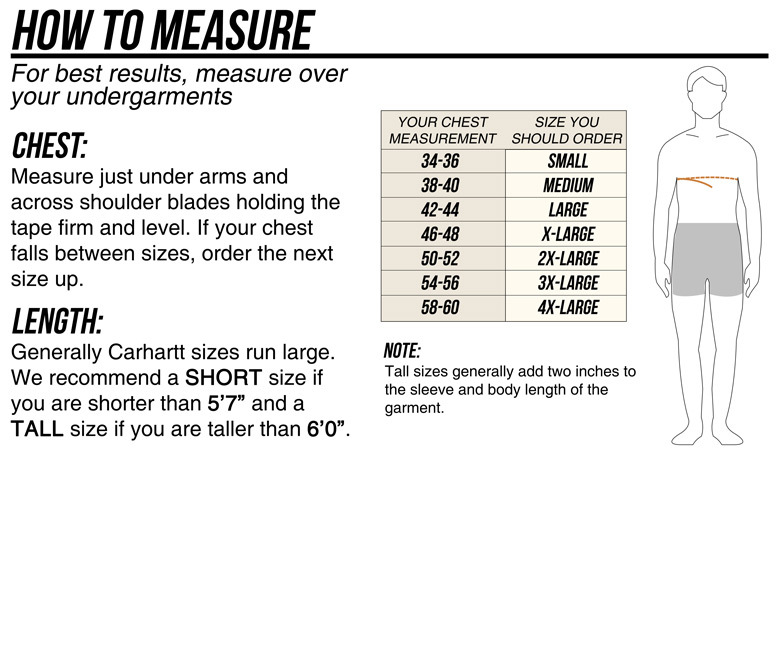 It is true to size for carhartt sizing which is slightly larger than other brands. The first time I wore this coat in a rainstorm, I was completely soaked in only 20 min. I would not recommend this jacket to anyone. I'm an avid carhartt wearer and am highly disappointed in this jacket. Great jacket, keeps the water out. Great jacket. I work in the maritime industry and this thing keeps you nice and dry while still being lightweight. I am an extra large on all shirts and jackets I wear, and this one seemed a little bigger than usual, but fit perfectly over work coveralls and has good range of motion. The only drawback I have found is the the rain hood is so big that it comes over the head and stops almost at my chin. A hardhat can probably be worn and the hood would still fit over it. I found myself repeatedly pulling the hood back so I could see, even after making adjustments on the drawstrings. Nonetheless, this is a great product and I am happy with the investment.